Intensive cream with Evening Primrose for healthy & youthful looking hands. Made with organic ingredients. 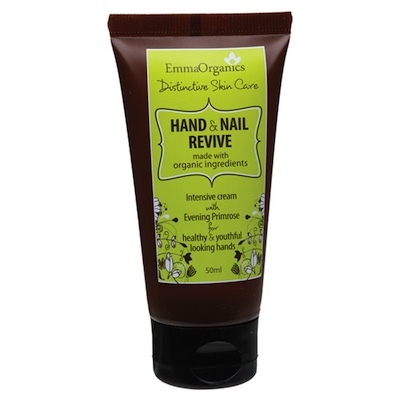 Emma Organics HAND AND NAIL REVIVE is an intensive nourishing cream to improve the skin, cuticle and nails. It helps repair the daily "wear and tear" to deliver healthy, plump and glowing looking hands. Organic Shea Butter, Avocado & Coconut oils - hydrate, restore and prevent moisture loss.